Roger Johnson will be discussing America's Nuclear Legacy: Hiroshima to Present. If his little quiz (below) is anything to go on, I'm sure it will be very informative. Among other topics, Roger will (at least briefly) be talking about how radiation damages human cells. Related to that discussion, the Progressives of South Orange County flyer (shown below) uses (with prior permission) my Electromagnetic Wave Spectrum in the announcement of Johnson's presentation. 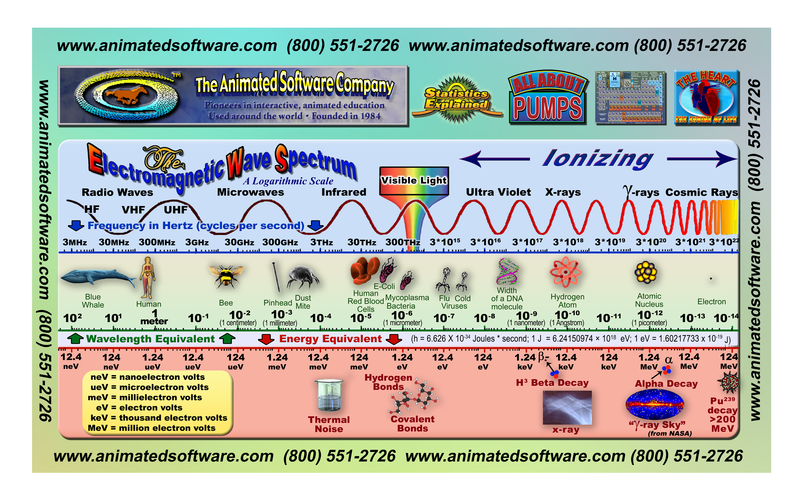 This electromagnetic spectrum graphic was produced with the assistance of a physicist who had retired from Lawrence Livermore National Labs, and who strongly opposed both nuclear power and nuclear weapons. Unlike most such images, this one includes the Energy Equivalent, as well as the usual Wavelength Equivalent and Frequency in Hertz (cycles per second). Adding the additional energy equivalence scale makes it a very useful graphic for nuclear activists (among others): For example, when the nuclear industry says that a tritium decay is a "low energy beta release" you can look at the chart and see that even a so-called "low energy beta release" is about three orders of magnitude more powerful than a typical chemical bond -- or roughly a thousand times more powerful. Tritium can end up anywhere hydrogen ends up inside your body -- which is essentially anywhere (tritium is a radioactive isotope of hydrogen). Tritium is extremely toxic, so when the nuclear industry "accidentally" releases "a very small amount" of tritium (and for some reason has to admit it), when they (as they invariably will) say tritium's radioactive decay product is a "low energy beta release" (they might use the phrase "soft beta rays" instead), recognize right away that that statement is designed to mislead you. Beta decays are (essentially) electrons that are ejected from the nucleus of an atom at incredibly high speed. Its speed varies, but is about 99.7% the speed of light. (Because of its high speed, people continue to debate whether to call it a "particle" or a "ray".) A beta particle (we'll call it that) has a charge of -1 electron volt, and when it slows down, it is simply a normal electron like any other electron. All beta particles become electrons once they slow down. And what slows them down? You. Your molecules. You absorb all of the energy the beta particle is ejected with: The tugs and repulsions of your body's cell's molecule's atom's nuclei (tugs) and their surrounding electrons (repulses) are altered by, and alter, the beta particle as it passes by. It is an electromagnetic repulsion/attraction. When the beta particle is traveling very fast, it almost always passes other molecules without having ANY significant effect on them, because it isn't in the vicinity of any particular atom for very long -- at first. It's only when the beta particle is at the slowest, last part of its journey to acting like/becoming any other electron that it does most of its damage, and *THAT* speed/energy level is far, far lower and slower than the speed/energy level the tritium (or any) beta particle had when it was released. The net result is that the number of atoms/molecules/electrons that are disrupted by any single beta decay is about the same, regardless of whether it's a "low energy" beta release from tritium or a "high energy" beta release from some other radioactive material. The area of damage from a "low energy" beta particle will tend to be closer to the origin of the beta particle than that from a "high energy" beta particle, but the total amount of damage (from the beta particle) will be roughly the same. The nuclear industry likes to use whatever standard seems to them to be the most useful to minimize the apparent damage from any particular event. And whatever standard they choose to use...is always...confusing, at best. So how safe is tritium? Nuclear power plants release about a thousand Curies of tritium per year (Canadian style "CANDU" power plants are allowed to release a lot more, because they produce a lot more. It is impossible not to release at least "SOME" tritium from an operating nuclear power plant). One year's permissible, and normal release amounts to about a thirtieth of a teaspoon, if concentrated to purity. One year's permissible, normal release of tritium is enough to bring about 13 billion gallons of water to the EPA limit for tritium in water (a limit which is probably significantly more lax than it should be). That's about as much water -- that one nuclear plant can legally pollute up to the EPA limit - that about half a million people drink in their entire lives! Nuclear power plants can legally pollute a lot of water! So what does the industry mean when it says it's released a "very small amount" of tritium? Baring a major release, in total they are only allowed to release about one or two teaspoons over the entire life of the reactor. Because even a "very small amount" can be very, very dangerous! Nothing in the nuclear industry is as it seems: The reality is always worse, and sometimes the reality is much worse. Roger Johnson will undoubtedly have many additional examples during his presentation tomorrow. How did the atomic age start and where are we headed? Can you identify the photos used on our invitations? They will be discussed on Tuesday night. We will also grade your responses to the 10 questions below: 10 points for each correct answer. Can you achieve a passing grade of 60% or more? Roger visited Hiroshima and Nagasaki when he lived in Japan as a kid shortly after World War II. He has read widely about what happened and how the atomic age has changed the world and the outlook for our future. He has attended many National Science Foundation conferences on arms control and nuclear war and has written widely on war in general and nuclear war in particular. Cheery topics will include why the atom bomb was dropped, nuclear testing, radioactive contamination and cancer, the Hiroshima Survivor Study, the Human Radiation Experiments, nuclear accidents, nuclear proliferation, and the nuclear industry. Due to the short notice of this meeting, please respond ASAP. Name tags will be waiting for all who send in an RSVP. Thanks to Daylight Savings Time, you will be able to enjoy an ocean view sunset from the patio if you wish. If you are not on the mailing list or have never attended before, please sign in at the door. If you intend to come only for coffee, drinks or desert, please so indicate on your RSVP (you may have to sit on chairs in the back rather than at dining tables). There is no charge or membership/registration fee. For the dinner/social hour, everyone can order dinner/drinks from the restaurant menu or list of nightly specials. Excellent food is served at Agostinos's Ristorante Italiano! 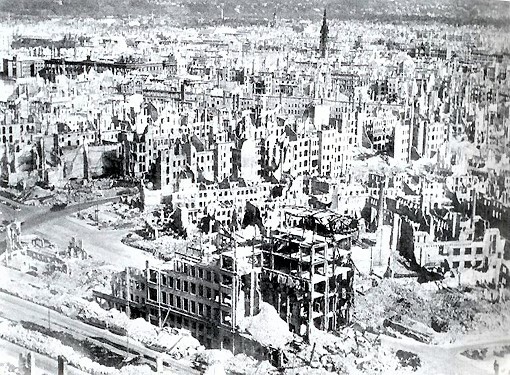 2. Who was the only senior scientist to quit the Manhattan Project when he learned that the atom bomb would be dropped on cities to kill indiscriminately? Copyright © 2019 Progressives of South Orange County, All rights reserved. The Progressives of South Orange County (PSOC) was founded in 2011 thanks to an energetic group of people interested in furthering progressive causes. The group is not affiliated with any political party. I'm happy to report that my previous two newsletters, one from January and one from last week (URLs below), were both very well received by activists around the world! THANK YOU readers and everyone who forwarded it to others or commented on one or both of them, including: Helen C., Marvin R., Alice S., Conrad M., Gary H. and many others! David Archer has interviewed many interesting people on his podcast: Joe Mangano, Maggie Gunderson, Helen Caldicott, Harvey "Sluggo" Wasserman, Kevin Kamps, Chris Busby, Richard Bramhall, Paul Gunter, Dennis Riches and many others...it was an honor to be on his show again! I am writing about the NRC's intention to choose ten sites for public meetings so that the NRC can learn about the efficacy of "Community Advisory Boards" (as described in document 7590-01-P regarding NRC-2019-0073). In addition to the fact that ten meetings are not nearly enough, I would like to comment on the issue. Last week, at a presentation to the newly-formed Diablo Canyon Nuclear Power Plant Decommissioning Review Panel, a member of the DCNPP (quasi-) Independent Safety Review Board (which has existed for many years and never thought to recommend shutting the plant down forever) explained to the new panel's members that the one thing they should concern themselves with is...the spent fuel. He was absolutely right. He said that the rest of the plant decommissioning process involves a fairly standard set of procedures within the branch of the construction industry that is involved with tearing things down. There are some highly radioactive areas that require special treatment, but he felt that was manageable (I'm not nearly as confident as he is, but we'll set that aside). For their part, many members of the new decom panel admitted to their lack of understanding of the spent fuel issues. They intend to rely on "experts" to help them come up with suggestions for the decommissioning process. That is a recipe for disaster. Fresh thinking needs to be applied to the nuclear waste issue! If such a thing as a "nuclear waste expert" actually existed, there wouldn't be a nuclear waste problem that has remained unsolved despite the world's BEST MINDS applying at least a passing thought to the problem (and sometimes much more than that) for more than 70 years -- since the dawn of the nuclear (waste) age. The problem is NOT just one of politics -- not by a long shot. Yucca Mountain was chosen as the best possible site (or at least just as good as any other "best possible site") for underground storage of nuclear waste. At the time, researchers already knew no site could be perfect. 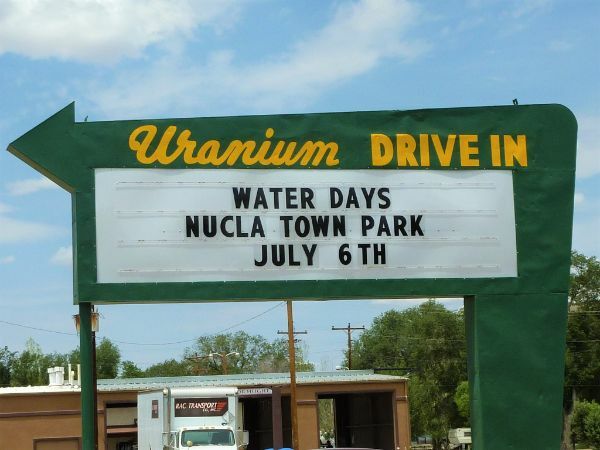 Yet even Yucca Mountain has not and cannot be built -- not because of political problems, but because the political problems are based on facts: Facts about water intrusion, facts about transport accidents, facts about volcanic activity, earthquake activity, leaching of water into an underlying water table that is moving faster than originally assumed (possibly due to water depletion at the outflow, where the contaminated water would eventually be used). There were drip shield problems and cave-in worries and thermal questions still unanswered. Hundreds of problems, many of which were, or at least should have been, terminal. So yes, the "expert" who was briefing the new DCNPP decom panel was correct: The worry and the concern should virtually all be about the spent fuel. But he's wrong to think it's likely to go anywhere. There are numerous hurdles to sending the waste to New Mexico for interim storage, including political hurdles, but also including impossible-to-resolve technical issues such as: Major air transport and military air routes at or near the location, flooding, explosive or caustic gasses leaking out of the ground in the area, and the same transportation problems Yucca Mountain will always have, including trillions of dollars that would be needed for infrastructure improvements. Meanwhile, in Southern California, there's the San Onofre "Community Engagement Panel," set up by SoCalEd four years ago -- with their own approved and hand-picked members -- to figure out what to do with the nuclear waste at San Onofre, which closed permanently due to "unexpected" vibration in its steam generators, leading to leaks and irreparable damage. Locals call it the "Community Enragement Panel" and it even includes one renegade Sierra Club representative (to make the panel appear "balanced") who advocates nuclear waste policies which run counter to long-standing Sierra Club positions (and who is also the sole "member of the public" on the panel). The SoCalEd CEP does not concern itself in any way with solving the nuclear waste problem for the country, but ONLY in solving it for Southern California Edison. Their solution? Get the waste moved to somewhere else. Find some sucker state that will take the waste away. There are a few other decommissioning issues the panel concerns itself with, which thus far has always resulted in approving SCE's plan, whatever that might be. The "expert" from the Diablo Canyon Independent Safety Commission would probably feel all these "side issues" are relatively unimportant. The real problem (the one SCE's CEP totally ignores) is not, and should not be thought of as: "Where will we put the waste?" but rather: What is the long-term solution to the nuclear waste problem? And if there isn't one (spoiler alert: There isn't) we MUST shut ALL the plants down. The SanO CEP pretends to look at the "problem" of nuclear waste and instead looks at the problem of foisting OUR problem onto someone else! And it doesn't even have to be a state: It could be a tribe, or a country, or -- hey, rocket it to the moon (never mind the cost, the failure rate of rocketry, the man-made space debris field surrounding earth, the natural resources needed to loft tens of thousands of tons of nuclear waste fast enough to escape earth's gravitational forces, etc. etc.). As far as the SanO CEP is concerned, as long as taxpayers take fiscal, physical, and legal responsibility for the waste, they don't really care about the details. In short: As long as someone takes it away from "here" (Southern California) and puts it "there" (anywhere else on or off the planet) the SanO CEP will be happy. But even if a bridge is built strong enough to carry a 300,000-pound load once, or a dozen times, that doesn't mean it's good for 100 such loads, or maybe not even 13. * The Tacoma Narrows Bridge in 1940. If a spent fuel load had got stuck on that (fortunately they didn't have any spent fuel anywhere at the time), it would probably have been tossed to the riverbed and burst. * The Mianus River Bridge in Connecticut in 1983. I was driving over that bridge twice a day at the time. The distance the tractor-trailer that went over the edge fell was way beyond what any transport cask is designed to withstand. * The earthquake in San Francisco during the 1989 "Earthquake World Series." 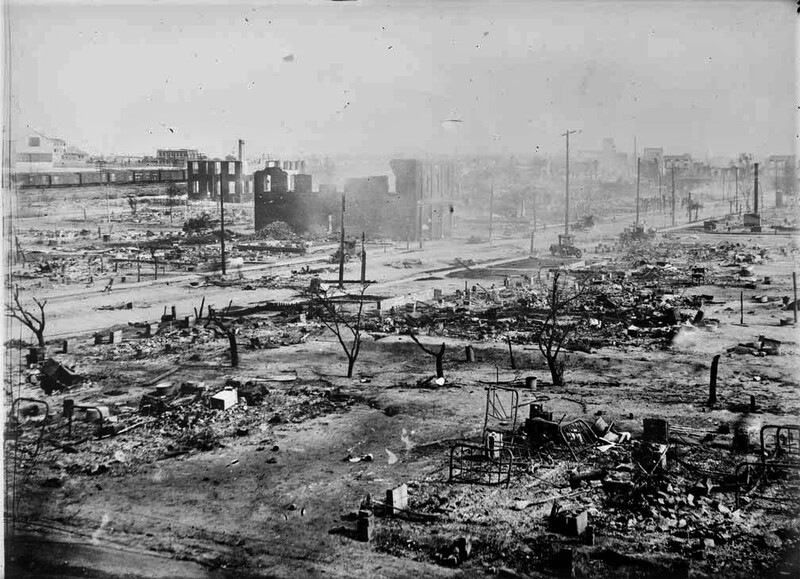 The Loma Prieta earthquake knocked the top level of the Cypress Street Viaduct onto the lower level. That upper section would have crushed a dry cask traveling on the lower section like a tin can. * The Minnesota I-35W Mississippi Bridge in 2007. No transport cask would have survived being on a rail car underneath, and probably wouldn't have survived the fall if it had been on the bridge. There have been many more, and many such bridge collapses in other countries, such as in Kobe, Japan in 1995. These are incidents that come quickly to mind, and in each case, the consequences if a spent fuel canister had been involved are fearsome. There are many other ways a dry cask transportation accident can happen, from head-on collisions with high-speed trains rounding curves too fast, to airplanes falling out of the sky, possibly from a suicidal pilot (it happens), to washed out rail lines and a thousand other things. Actually, way more than a thousand. All of these nuclear waste accidents would be catastrophic, as would acts of terrorism, and there can even be catastrophic accidents caused by neglect, engineering mistakes, carelessness and ignorance. Especially when there are no "experts" to guide you. Each additional nuclear waste load that is produced (about one canister worth of new nuclear waste is produced every one to two days in America) requires storage space, transportation, its own expensive canister and periodic inspections. Every collection of spent nuclear fuel canisters requires security guards, guard equipment, infrastructure, fencing, response systems for swarm drone attacks (each drone laden with several pounds of explosives)... It's not cheap, and it goes on forever. Each cask contains as much radioactivity as was released at Chernobyl. The failure of a single cask would be a catastrophic industrial accident. And it absolutely would be an "industrial" accident, not an act of nature, even if a meteor comes out of the sky and destroys a canister, or a whole group of canisters. Such an event may be unlikely, but it is NOT impossible and the ONLY reason it's possible is because the Nuclear Regulatory Commission (NRC) allowed the canisters to be manufactured -- and filled -- in the first place. For safety reasons, the NRC and its predecessor the Atomic Energy Commission (AEC) could have insisted that the Uranium-235 be left in the ground, where each U-235 atom is surrounded by hundreds of non-fissile Uranium-238 atoms. 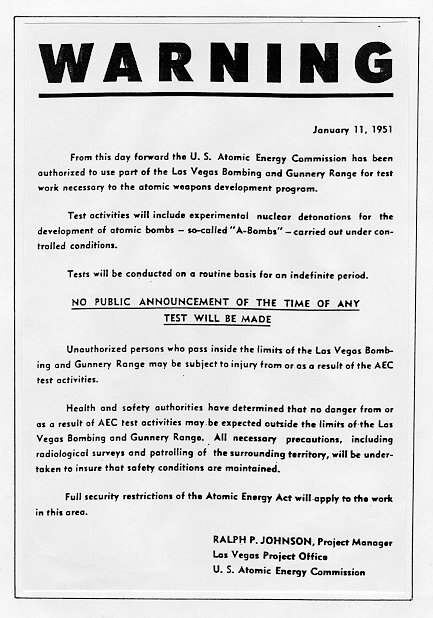 The NRC and before them the AEC could have required that the U-235 *NOT* be split, so that it could not become a multitude of fission products that chemically mimic elements that human bodies use. These fission products include iodine, cesium and strontium (radioactive isotopes of these elements are one of the most common results of nuclear fission). Isotopes that are not "useful" to the human body but are still toxic are also produced, and can be inhaled or ingested, and retained for some period of time (possibly for life). Plutonium-239 is roughly 30,000 times more radioactive than Uranium-235. (The half-life of Plutonium-239 is about 24,000 years, which is well beyond the written record, but about 30,000 times shorter than the half-life of U-235.) Both Uranium and Plutonium -- but especially plutonium -- also have horrific "heavy metal" properties because of the swarm of loosely-held electrons surrounding their massive nuclei. Nuclear power plants create nuclear waste that lasts virtually forever, and the only reason they do this is because, for a fleeting moment, they can create heat which is turned into steam which is turned into rotational motion which is turned into electricity. And no, it's no more efficient than it sounds, and yes that electricity could be created a thousand better ways, dozens of which are capable of industry-scale production, and all of which can produce electricity at a cost far lower than nuclear power. First, the nuclear industry had to get massive federal subsidies, which it did, and still does. Second, it had to have a special, magical, deceptive and very dishonest insurance policy, one which would limit the liability of the owner/operators of the plants, so that if a major accident occurs, the victims, not the perpetrators, would pay for it. That was accomplished and is still accomplished by the Price-Anderson Act, which is woefully under-funded and can't possibly cover the cost of major accidents, including transport accidents -- costs which could reach into the tens of trillions of dollars. P-A limits liability, which forces the victims to pay. Third, insurance companies had to get the public to accept home owner's insurance policies that specifically exclude nuclear accidents from the policy. This was done with a brilliant piggyback to the scam national insurance policy that severely limited corporate liability and forced the victims to pay for their own financial losses, health care or funerals. The home owners were told that damages from nuclear accidents would be paid for through the Price-Anderson Act, which would do no such thing in 999 out of 1000 cases, and then only pennies on the dollar. Fourth, the waste problem had to be solved, which was impossible from the beginning and remains so today because of the physical properties of ionizing radiation and radioactive decay. But rather than solve the problem, everyone, for 70+ years, has been "kicking the can down the road." That's all SanO's CEP wants to do, and that's all DCNPP's decom panel wants to do with nuclear waste. Fifth, because of price pressure from renewables, the nuclear industry has begun to require (and get) guaranteed minimum price subsidies from nuclear utility ratepayers, who are charged prices well in excess of fair market rates. These price subsides cost those ratepayers billions of dollars. Sometimes specific major subsidies are used to pay for specific major replacements of worn parts, such as steam generators, reactor pressure vessel heads, huge pipes, turbine blades, etc. etc. 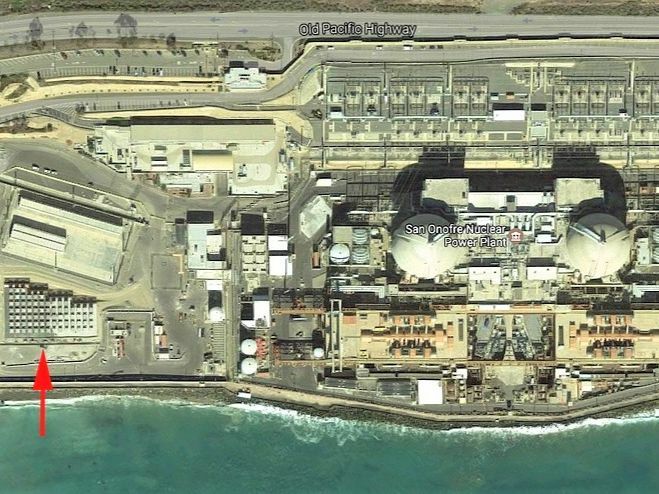 And if the billion-dollar replacement parts fail, like they did at San Onofre? The ratepayer still pays, often in advance of the replacement work even having begun. The utility actually makes a guaranteed profit even on their own failures! Meanwhile, viable, if only partial, solutions to some of the problems of storing spent nuclear fuel which are available today are not being tested, implemented, or -- in some cases -- are not even being considered. * Use casks made of thicker ductile cast iron instead of thin stainless steel. The canisters used in America are 1/2 inch thick (Diablo Canyon) to 5/8ths of an inch thick (San Onofre). The casks are huge: 10 to 12 feet in diameter and about 20 feet long, depending on fuel type. The cask walls are barely thicker than an egg shell, proportionately! Yet these casks are expected to carry a much higher density of spent fuel than an egg shell is designed to hold of liquid. Each cask can hold from about a dozen to more than three dozen spent fuel assemblies, each of which weighs around several tons. The massive amount of radiation stored in each cask needs better protection: Many other countries use a much thicker cask made of ductile cast iron. American utilities are too cheap, claiming the waste will be transported elsewhere soon and for some reason, then it won't matter. They've been saying that for decades. The American nuclear industry needs to move to the thicker, better casks, as well as: More space between each cask, more security around them, earthen berms between each cask, fewer fuel assemblies per cask, and most of all: Stop making more nuclear waste. * Destroy the fissile isotopes of Uranium and Plutonium (primarily U-235 and Pu-239) with laser neutralization (described in detail in the attached article (see below)). Laser neutralization would reduce the length of time the waste stream is ultra-hazardous (i. e., laden with Plutonium and other radioactive substances) from hundreds of thousands of years to less than a thousand years. A millennia is certainly still a long time but is less than 1% of the time needed for storage otherwise. Unfortunately, destroying the fissile isotopes inevitably (that is, "by definition") creates additional fission products. But it eliminates many other potential risks, including those caused by the need to store nuclear waste for longer than the known length of human civilization. Additional benefits of laser neutralization include eliminating the possibility of the nuclear "waste" being reprocessed and used in future nuclear reactors (which creates more Plutonium, as well as fission products), or to create nuclear weapons (i. e, proliferation concerns). Most importantly, laser neutralization eliminates the possibility of criticality events, which would also create (and release) fission products. All of these worries and concerns are always present when dealing with spent fuel that has not been laser-neutralized to remove the fissile isotopes. Laser neutralization is a patented concept, and is technically achievable today. But the industry won't do it. Since even the "best" solutions to the problems of nuclear waste are financially expensive and susceptible to "extreme events" (of which thousands are possible), the less nuclear waste there is on the planet, the better. The risk increases linearly with each new spent fuel load. 1) Nuclear utilities must take full responsibility for any waste they create. From this day forward and for eternity. The federal government (specifically the Department of Energy) should NOT promise (on behalf of the American people) to take the waste away, because the DOE has already proven they can't keep that promise -- and certainly not without violating someone's civil rights, -- along the transportation routes, around the site(s) where they send the waste, and anywhere on the planet if anyone is harmed by an "accidental" release of the waste. It's not "accidental" if it could have been prevented by not making the waste in the first place. Which is true of all future waste that might ever be created. 2) Nuclear utilities must stop hiding behind Price-Anderson. If the nuclear industry can't find proper insurance for their industrial process (Last spoiler alert: They won't), then it should be stopped. If it is not stopped, then when the meteor finally crashes into a nuclear waste canister, it will be an industrial accident, and today's nuclear industry will be responsible, even if it's 250,000 years from now. When a terrorist attacks, any time in the next quarter of a million years, it will be an industrial accident, because the risk never needed to be taken. The opportunity for destruction never needed to be made available to the terrorist. When a bridge collapses in an earthquake, crushing a dry cask and causing the permanent evacuation of a large city, it will be an industrial accident, not an act of God or Mother Nature. 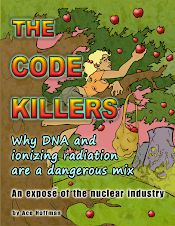 Those rascals (God and Mother Nature) did not create the nuclear waste problem. They did not do anything unexpected. Even the terrorists, whoever they may be, and whenever they may strike, will not be doing anything unexpected. We know they're coming. We just don't know when, where, why, or how, and they don't know any of that either at this point. They may be a thousand generations from being born, yet eventually, our "targets" will still be there, waiting for them: God, Mother Nature, or a terrorist. Or a bad weld that someone didn't report because they were afraid they'd lose their job if they did. A thousand things. 10,000 dry casks. The odds are not good. Stop playing with fire. We're liable to all get burned. A couple of decades ago, at the height of the fervor (now almost completely abandoned) to build Yucca Mountain and ship all the high level nuclear waste the country had produced up to that time to Nevada, a bill in Congress -- needed to make it happen -- was referred to as the: "Screw Nevada" bill. Strong opposition from elected representatives from Nevada, and from citizens along the millions of miles of routes on which the tens of thousands of shipments of the waste would have to travel, killed the bill. At a public hearing, this author saw the then-mayor of Las Vegas, Oscar Goodman (his wife is now the mayor), say he would throw any trucker in jail if they tried to go through his city with nuclear waste -- which they almost surely have to do, to get to Yucca Mountain from, for example, California's two operating nuclear power plants (at Diablo Canyon) and from five closed reactor sites (three at San Onofre and one each at Humboldt Bay and Rancho Seco). Oh, and don't forget one of the main reasons the bill was abandoned: Dry Cask Storage was adopted. It was claimed -- although everyone knew it wasn't really true, at least not for "beyond design basis events" -- that on-site semi-permanent dry storage of nuclear waste on site was/is safe. It wasn't, it isn't, it never can be, but here we are. There are now about 300 dry casks storing about 5,000 tons of spent nuclear fuel rods at several dozen sites around the country, with a new cask loaded somewhere every week or two. These casks are: Targets for terrorists, targets for ballistic missiles, targets for earthquakes (beyond "design basis" earthquakes that is -- which are entirely possible, just somewhat less likely than "design basis" earthquakes). Targets for volcanic activity, accidental airplane strikes. Yucca Mountain, a terrible idea, would at least have protected the nuclear waste from SOME meteor strikes. But visit Arizona's Barringer Meteor Crater -- nearly a mile wide, barely 50,000 years old, and less than 400 miles from Yucca Mountain. The Barringer Crater was created by an object estimated to be less than 500 feet across, much of which is probably still buried deep underneath the 560 foot-deep crater. There are thousand of similar -- and larger -- objects hurtling around the sun that cross earth's orbital distance of about 93 million miles. Rid yourself of any notion that Yucca Mountain -- or anywhere on earth -- can protect nuclear waste from meteor impacts. Yucca Mountain was abandoned, and the strongest arguments against it did not come from the citizens along the transportation routes, or the will of the people of Nevada -- or even the existence of a lousy, temporary alternative: It came from within the mountain itself. Water dripping through it. In dry, desert conditions, the mountain nevertheless holds onto some portion whatever rains do come, and that water seeps through the mountain, over a period of years or decades, and enters the tunnel that has been dug to hold the nuclear waste. So "drip shields" were proposed, to place over each dry cask: Four inches thick, solid titanium. Expensive, unwieldy, and unworkable because they wouldn't last long enough, and might collapse onto the dry cask, damaging it and possibly breaching it. And those weren't the only problems, but they are typical unsolvable problems with Yucca Mountain. Other problems include a water table underneath that would -- not could, but would -- eventually be contaminated as the casks aged, breached, and spilled their contents -- which was fully expected some time in the future, after the site was capped -- or if an accident inside the tunnel (such as a cave-in or a drip shield impact on a dry cask) caused a breach even sooner. And volcanic activity in the area. And flash floods. And an earthquake fault between the water table and the mountain. And a city of over two million people (and 40 million tourists a year, including the author) less than 100 miles away. And on and on and on. The plutonium would need to be isolated from humans for about half a million years. The uranium, for billions of years. Half a million years ago the continents were miles away from where they are now, and shaped significantly differently. There were ice ages and thaws betwixt then and now. Humans as we know them (homo sapiens -- us (or at least most of us)) didn't even exist. A lot can happen in half a million years, let alone, billions of years. Decrepit rail and road infrastructure -- which continues to decay -- was yet another reason Yucca Mountain was abandoned. It would cost hundreds of billions of dollars -- perhaps more than a trillion dollars -- to upgrade the rail system to "safely" (I use the term loosely!) transport nuclear waste to Yucca Mountain -- most trips averaging over 1,000 miles, and approximately 2/3rds of the country lives within 50 miles of a proposed nuclear waste shipping route. 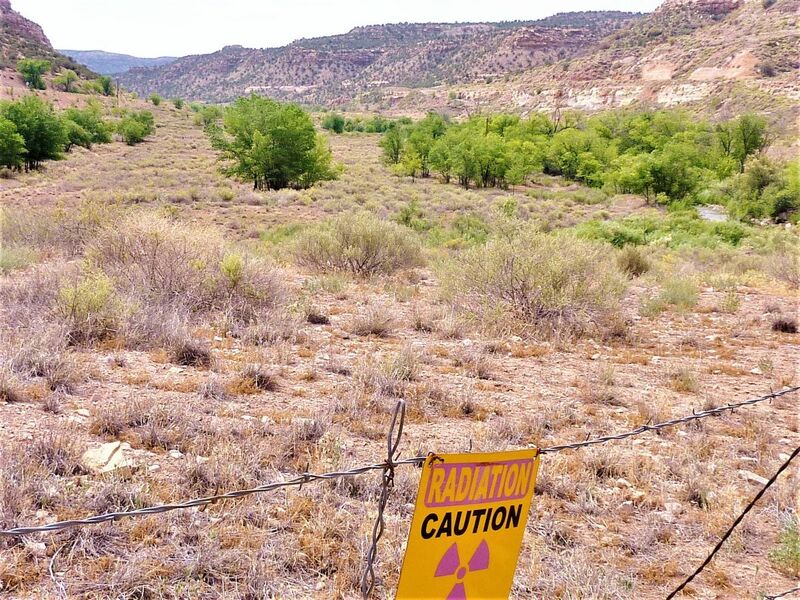 All the transportation problems, as well as water seepage problems, flash flood problems, faults and many others -- also apply to moving the nuclear waste to New Mexico, which is the current plan for "solving" (I use the term loosely!) the nuclear waste problem today -- temporarily, until a permanent site is built. 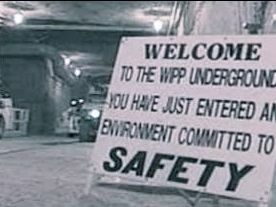 Proponents of the New Mexico waste repository cite Yucca Mountain as the presumed eventual permanent location, despite all the problems cited above, and several hundred more technical problems than had been identified by scientists hired by Nevada and California, none of which the Department of Energy had -- or has -- solved. And by "solving the nuclear waste problem" what I really mean is: "giving the nuclear utilities a way to rid themselves of a huge liability and keep on making more nuclear waste." And what I ALSO mean is: "blocking the adoption of renewable energy options" and "keeping electricity prices absurdly high" (not "too cheap to meter" like the nuclear industry promised when it began). Which brings us to today. This week, it was announced that the Department of Energy had already shipped half a metric ton of weapons-grade plutonium to Nevada, not only against Nevada's explicit wishes, but before Nevada had even gone to court to block the proposed shipment -- which they did in November of last year (2018), a case which is now considered (at least by the Justice Department) to be "moot," in part because the DOE claims it won't do it again, and in part because the waste is already in Nevada and there is little chance it will ever leave the state -- unless of course, it gets released into the environment somehow, either by going critical all by itself, due to a configuration calculation error, or because of an accident of some sort (a "beyond design basis" accident, of course), or an act of terrorism (ANY act of terrorism is considered a "beyond design basis" accident because the regulators consider acts of terrorism to be stopped before they happen), or who-knows-what. If the plutonium is released to the environment, it can kill in vanishingly small quantities -- a few millionths of a gram -- a speck the size of a fleck of pepper or a grain of salt -- is enough to cause lung cancer. Sailors aboard the U.S.S. Ronald Reagan, which for a while was within 50 miles of the Fukushima meltdowns, are now sick with leukemia, thyroid cancer, testicular and ovarian cancers, brain and spinal cord cancers -- and some have already died. Fukushima farmers are growing crops on contaminated soil that Japan plans to feed to Olympic athletes at the Summer Games in Tokyo next year (two Olympic venues are even in Fukushima Prefecture). Macaque monkeys in the area are giving birth to offspring with smaller brains and heads. Lawyers from Nevada assert that the issue of transporting plutonium to their state is NOT moot, especially because DOE lied to them about the previous shipment. And DOE lied to a federal court about it, too. And DOE lied to the people of Nevada and to the people along the transportation routes. And it's especially not moot because DOE actually plans to ship a another half metric ton of plutonium to Nevada by 2020. Or ship it somewhere, because they are required (by a prior federal court decision) to move it away from South Carolina by then. So New Mexico had better watch out -- it might go there. Or perhaps worse, Holtec might start shipping nuclear waste canisters to New Mexico sooner than expected -- even before the planned "interim" storage site is built! Those shipments might even have already started -- there is no way to know because a dry cask can be stored (temporarily, of course!) under a tent or in any building with a large enough space to hold it (and a large enough opening to get it there). Dry casks can be transported in unmarked containers because marking the containers is considered a security risk -- as is publicizing the transport routes, times and quantities. And the containers themselves are hardly protected against major and foreseeable accidents along the way: Crush resistance, puncture resistance, fire resistance, impact resistance -- all these things are designed to meet limits the Nuclear Regulatory Commission thinks are reasonable. The NRC limits are determined by what is financially affordable versus what is considered unlikely -- in other words, if some level of protection is too expensive, no problem -- just assume an event needing that level of protection is unlikely, and you can ignore it! That's how they think. It's even got a name: ALARA, which stands for "As Low As Reasonably Achievable" and is the entire basis for the nuclear industry existing at all. Without ALARA -- and a related piece of legislation, known as the Price Anderson Nuclear Industries Indemnity Act, which strictly limits a utilities' liability. Without ALARA and Price-Anderson, there would be no nuclear industry at all. DOE is criminally negligent -- of America's public lands, of our citizens, of our future and of our money. Billions of dollars are still being spent by DOE every year to design new, unneeded nuclear power plants (including utterly wasteful, dangerous, and inefficient "Small Modular Reactors"), and billions of dollars are NOT being spent that needs to be spent for cleanup of polluted nuclear sites such as Hanford and hundreds of other locations across the country. 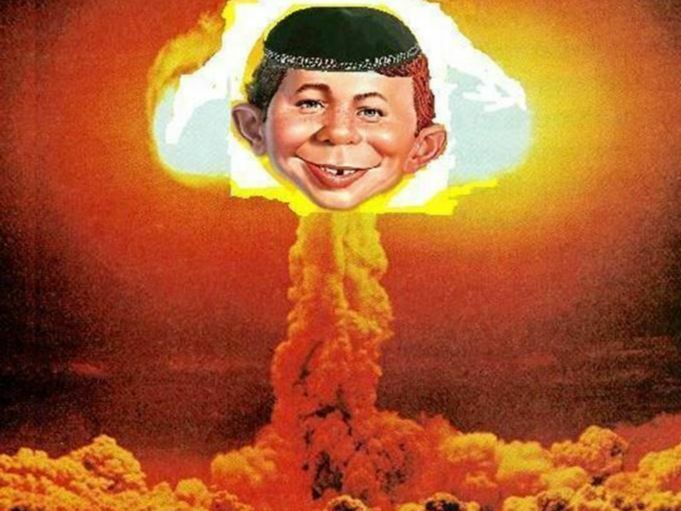 DOE makes and maintains nuclear bombs, too. They are a self-sustaining horror, a money pit, and blight upon the planet -- which is why they are sometimes referred to as the "Death Of the Earth" squad.